MINNETONKA, Minn., USA, Sept. 11, 2018 – Syngenta today announced the release of 32 new NK® corn hybrids for the 2019 growing season, further revitalizing the brand’s corn product lineup to support farmers. Broadly adapted genetics are critical to the new hybrids’ performance. So is the ability of NK to leverage the vast research and development capabilities of Syngenta. Every year, breeders produce and test more than 1 million corn genotypes, using their award-winning system of data analytics to pinpoint the characteristics most likely to help maximize yields. They do all this with a farmer-driven focus, centering their efforts on specific opportunities. NK is committed to delivering a better seeds experience, offering a range of additional benefits to ensure farmers get the most value out of their genetics while minimizing risk. All of the new hybrids are available with industry-leading Agrisure® traits. 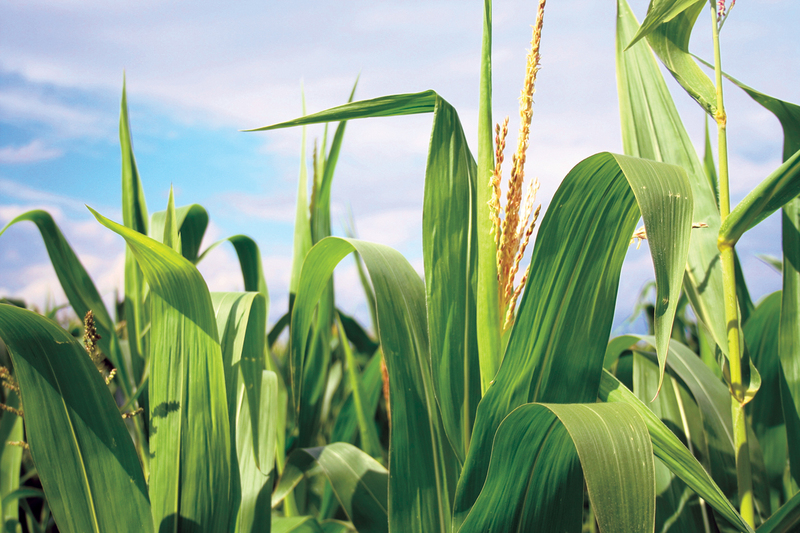 Trait stacks such as Agrisure Duracade® 5222A E-Z Refuge® – the ultimate trait stack for premium above- and below-ground insect control, choice, simplicity and water optimization – protect NK corn’s genetic potential from the start. All NK hybrids have been extensively tested against key competitive products for years. To ensure strong performance continues, NK increased internal trialing by almost a third over the past year, securing more data in niche environments. Plus, by being sold through retail, all NK corn is tested in local plots – one more test before ever being sold to farmers. NK retailers in select locations also will offer an expanded Enogen® corn lineup, with seven new hybrids for 2019 that feature an in-seed innovation that benefits growers marketing grain to ethanol plants and those producing grain or silage for livestock feed. In the ethanol market, Enogen grain enhances the ethanol production process by improving efficiency, while the same technology helps increase the value of corn as feed for dairy or beef cattle due to improved digestibility. Additionally, farmers may benefit from a 0% financing offer available for NK seed for the 2019 growing season. For details on this offer, or for more information on the new NK corn portfolio, contact a local NK retailer and visit www.NKcorn.com. NK offers growers a science-driven boost to their seed portfolios. Our researchers tap into “big data” to drive innovation that helps growers spread risk and maximize whole crop return. Plant the Seeds of ChangeSM to see the difference that innovation can make. ©2018 Syngenta, 11055 Wayzata Boulevard, Minnetonka, MN 55305. Unless otherwise expressly stated, all trademarks indicated as ®/™/℠ and the trade dress are the property of a Syngenta Group Company. Agrisure®, Agrisure Duracade®, Artesian™, Enogen®, E-Z Refuge®, NK® and the Syngenta logo are trademarks of a Syngenta Group Company. All other trademarks are the property of their respective owners.